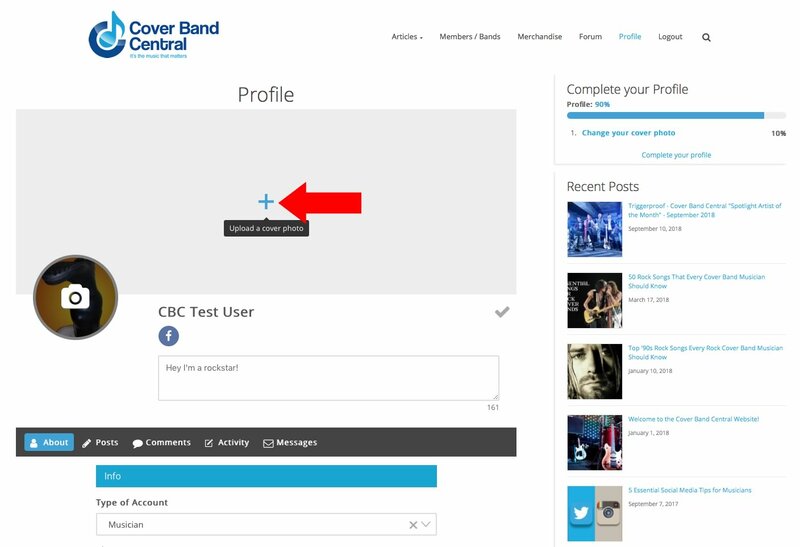 There has been a lot of questions regarding how to register and complete your profile so I though it would be good to put together an in depth tutorial. So here we go. 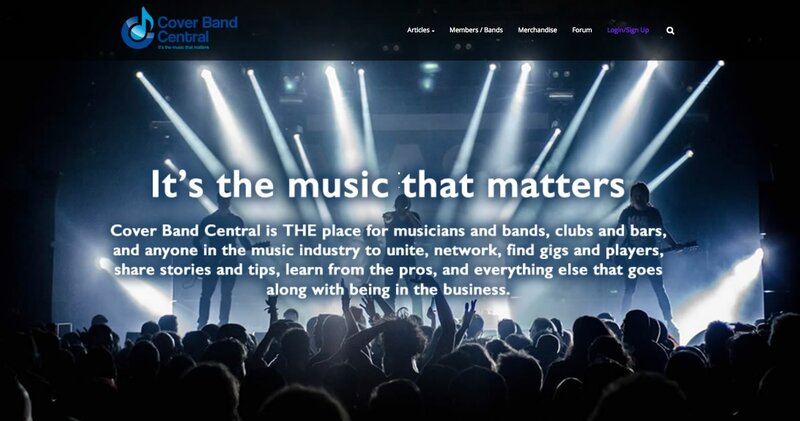 Go to www.coverbandcentral.com. Chances are if you're reading this you're already soaking in it. 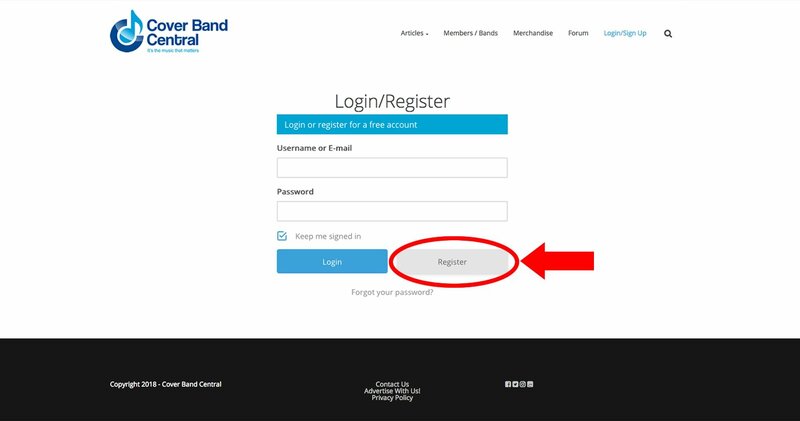 Click on the navigation button in the upper right hand corner that says "Login / Register". Click the button titled "Register"
Next is Display Name. This is the name that will appear on your profile and in the forums. It can be anything you want and can contain spaces and special charachters. Typically it would be your band name, your nickname or handle or business name. It is required. Login Username is the name you will use to login in with. It is not shown and must be a unique name. You will be prompted if someone is using the same name.It is also required. Password is also required and needs to be 8 charachters minimum and contain both a lower and upper case letter. Email Address is also required and is used to send you site emails, password recovery emails and to also login. This field is not shown so yu wont run the risk of being spammed. Public Contact Email is NOT a required field but is available if you WANT to display a way for others to contact you. 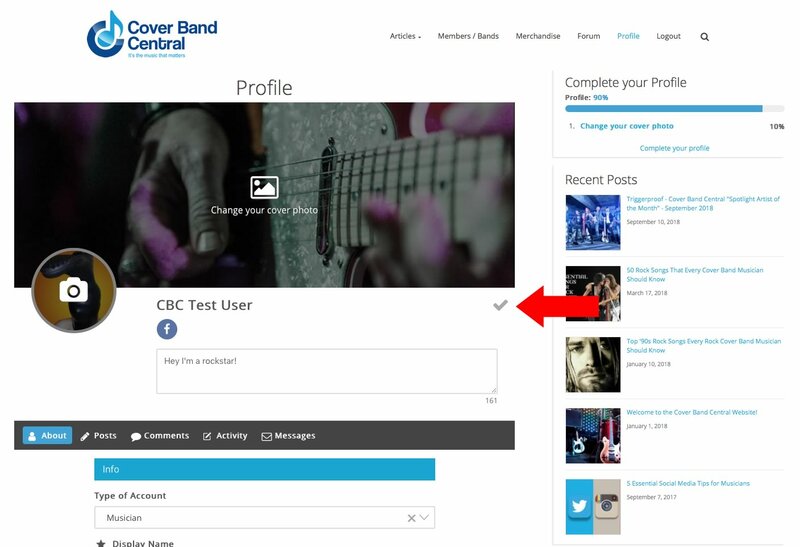 Country, State, City and Zip Code is required so you can be found in the member / band search page. Keep in mind that this is not an exact location so no one will be able to stalk you. Bio is required so tell everyone a little about yourself. I mean it is a SOCIAL website so be social! Music Genre and Instruments Played are required again strictly for the member searching. 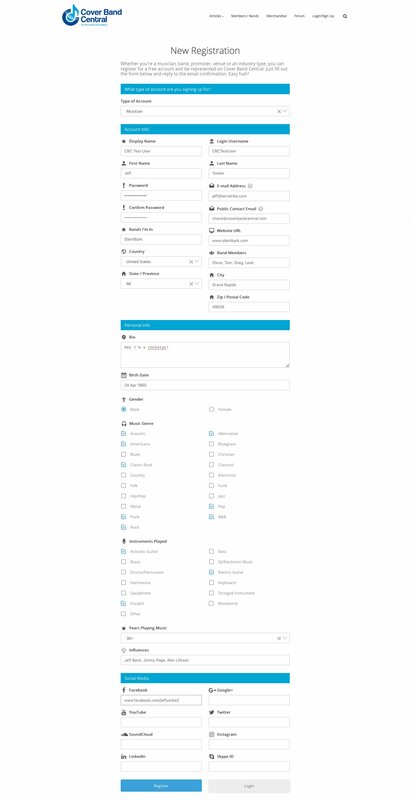 Fill in any of the other fields you are interested in displaying and keep in mind you will always have the option to come back and update or change these at any time. When finished, click the "Register" button at the bottom. After registration you should be taken to your Profile page. 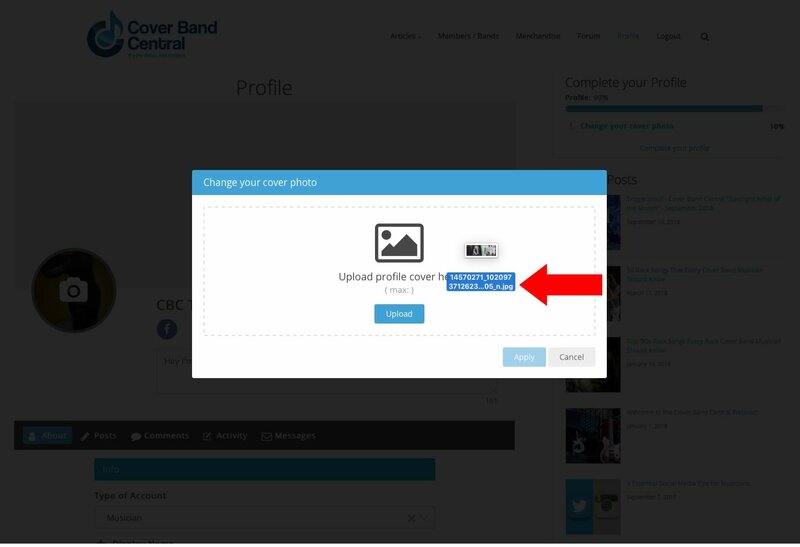 The first thing you will want to do is complete your profile and add a profile image and cover image. Start by clicking the little Gear on the right side of the page and selecting "Edit Profile". The next and probably most important thing to update is your Profile Photo. This is your avatar that will show up in the member searchs and in the forum. So choose a n image that best represents you. have fun with it. First click the little Camera Icon on the profile phot and select "Upload Photo". Again, you will always be able to come back, repeat this process and change/update your image. Once clicked you'll be prompted with an upload dialogue box. You can simply search for a photo on your desktop or drag and drop one onto the form. Do that and click "Apply". You can the crop the photo. When finished click the "Apply" button. Boom! 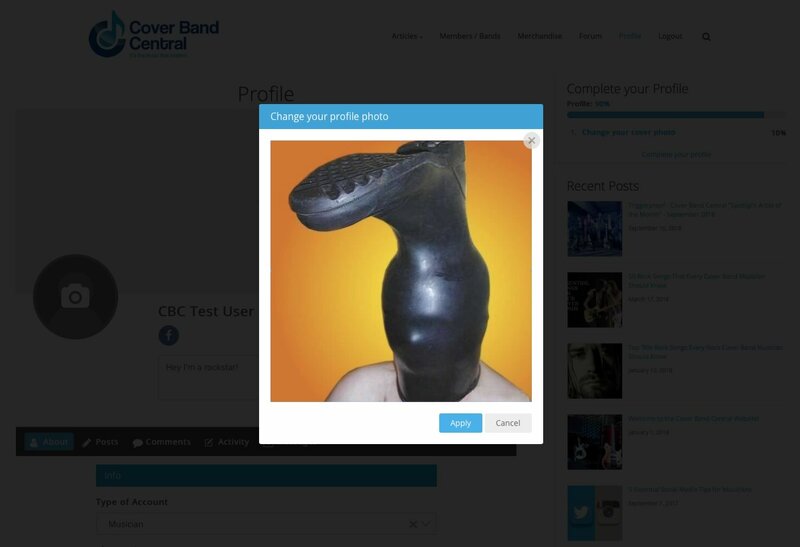 Your profile photo is done. Don't you look good! Next you'll want to add a Cover Photo. 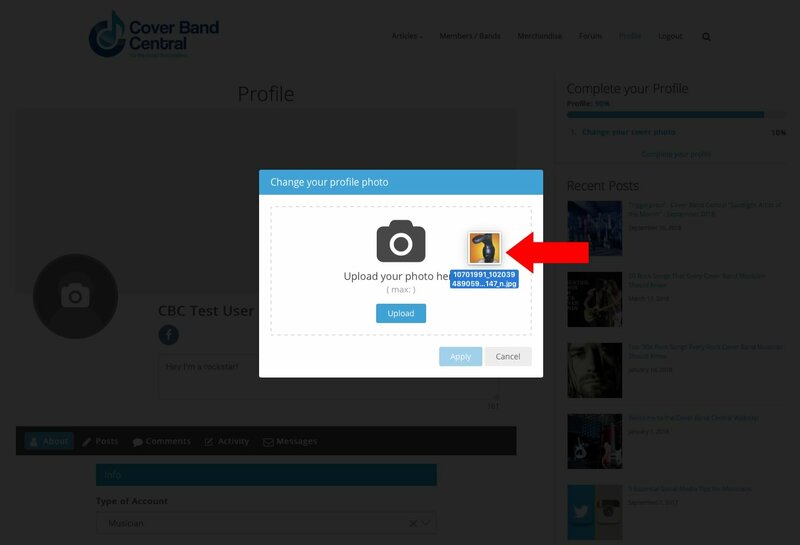 Click the Plus Sign and you will be prompted with the similar process as uploading a Profile Photo. Generally you will want this to be a larger, more horizontal phot of a higher resolution. Search for an image on your computer or drag and drop one to upload. Then hit the "Upload" button. You can then crop the photo and when your finished, hit the "Apply" button to finish. there are a few additional fields in your profile you can also update as well. 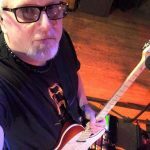 Equipment, Influences, Photo, Video etc. these are not required but make your profile more noticeable and informative, so go crazy! A couple of things to note: The Street Address field will only appear if you have selected Industry as your Account Type. This is not required but allows you to list an exact address if you are a business and wish to do so.The Map field also allows you to embed a google map on your page. This can be an exact address or as simple as a city and state if again you're worried about stalkers. 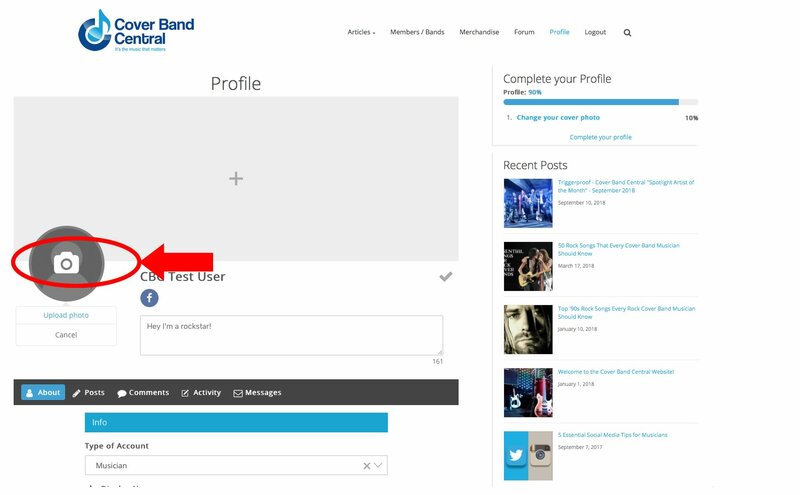 You might have also noticed that in the upper right corner of the profile page is a section title "Complete Your Profile" that shows the required fields to have a "completed" profile. Keep in mind there are more fields than are required, but these 10 are the most important. When you complete that field, it goes away and if you dont see it at all - CONGRATS! - you've successfully finished your profile! When you've completed your profile click the Check Mark at the top of the page where the Gear was to save your changes. BOOM! Look at you! You've completed you profile and are a waaaayyyy better person than those who haven't. Remember that you can always come back and update or change any of these fields. These profiles also make for great mini-web sites or digital business cards as well. Just copy the URL of your profile and email, put on your facebook page, etc. So I hope this helps understand the process of how to register an account and complete your profile. We will be adding new cool functions to this regularly so check back often. 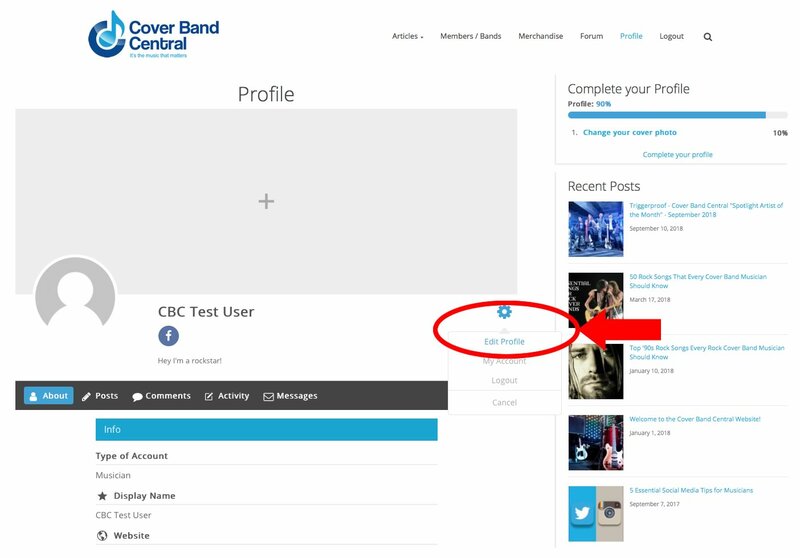 We are committed to make CBC the best tool for the working musician. If you have any suggstions on how to make this better or commetns, please leave us a note in the "Feedback" forum section.